One of the most valuable sections of any digitised newspaper are the Births, Deaths and Marriages columns, which also contain Memoriams and Anniversaries. Obituaries tend to be separate, and warrant their own search using that term. However, when exploring Trove, it will help to know how the prosaic was once expressed in more poetic terms. 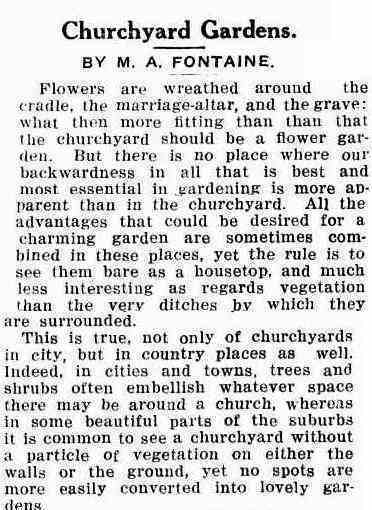 The Cradle, the Altar and the Grave or The Sepulchre were used in the early 1890s by one Victorian newspaper, not only using the common thread of human life but also expressing status in flowers chosen to surround the event in question. (Sydney, NSW : 1850 - 1932), p. 10. Of course the Cradle, the Dungeon and the Tomb is likely to be tongue-in-cheek. Buds, Orange Blossoms, and Cypress. (1895, April 3). A PLEASURE PARTY STRUCK BY LIGHTNING. (1881, December 30). 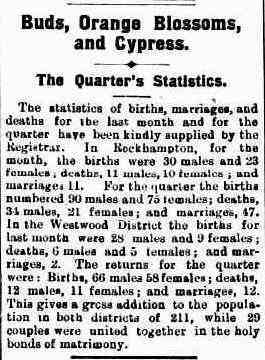 The Ballarat Star (Vic. : 1865 - 1924), p. 3. By the 20th century, many of these terms were standarised as we still read them today. 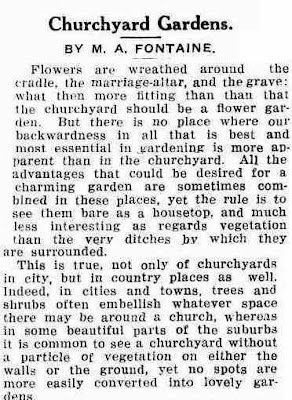 Trove summarises them as Family Notices in one of its facets to expedite finding - but this variety is worth noting if you use these 20th century keywords for your 19th century family life and uncover nothing.